He’s a good dog, a loyal companion, and a great big baby. 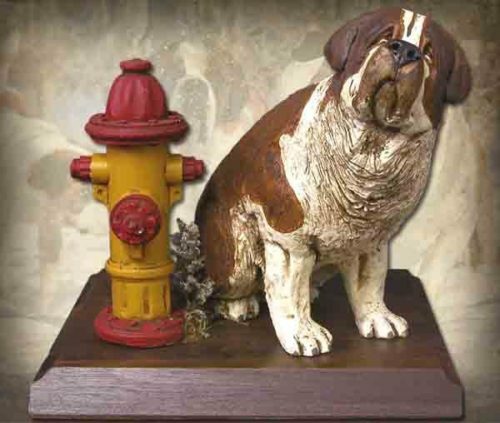 This handmade sculpture celebrates our favorite American hero and man’s best friend – the Saint Bernard – on a wood base with fire hydrant. Sculpture measures 7.5″ x 7.5″ x 6.5″. ©1991/2008. Handpainted finish. Includes wood base.